Australia Korea Business Council | Denuclearisation and human rights in North Korea – can we have one without the other? 22 Jul Denuclearisation and human rights in North Korea – can we have one without the other? Kim Jong-un’s successful pursuit of his nuclear agenda has arguably only been possible because of his ruthless wielding of power and control, and the surveillance and oppression of the North Korean people. The US and its allies want North Korea to denuclearise in the interests of regional and global security. Following the recent meeting between North Korean leader Kim Jong-un and US President Donald Trump, we have focused on if and how genuine denuclearisation can be achieved. But does the lack of any real public accountability that arises from the human rights situation in North Korea mean Kim’s promises at the Singapore summit are just empty rhetoric? Should human rights be a part of the denuclearisation discussion, and if not, what are the implications, both for the North Korean people and broader security? 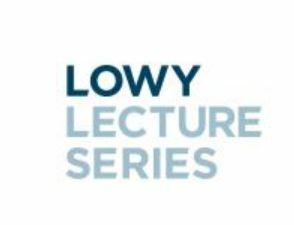 To explore these questions, please join Dr Merriden Varrall, Director of the Lowy Institute’s East Asia Program, moderating a panel with the Hon. Michael Kirby, Chair of the United Nations Commission of Inquiry on Human Rights in North Korea, and Dr Beomchul Shin, Director of the Division of North Korean Military Studies at the Korea Institute for Defense Analyses.